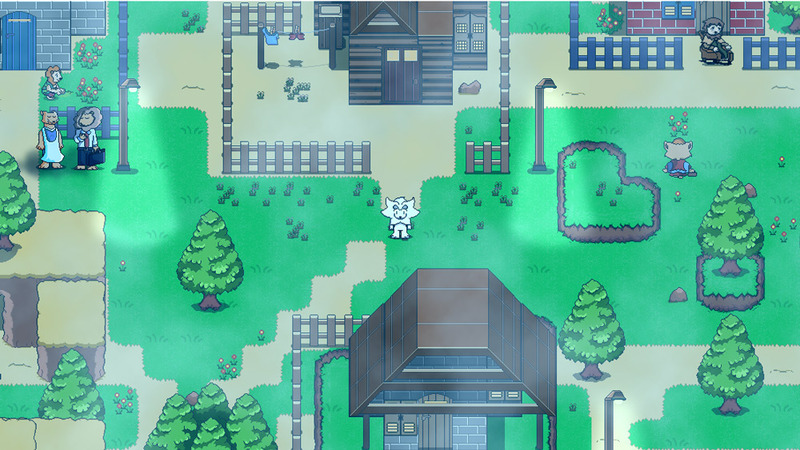 "An emotional and profound RPG game about an albino lion"
Lenin – The Lion is a top down role playing game where you play as the title character Lenin who is an albino lion and due to his condition has been treated very badly throughout his life and as a result of this is now depressed and a lot of the game is about how he deals with his depression. 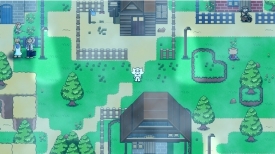 The game opens with a beautiful title sequence set to some music which is bound to tug at the heart strings if the wonderful pictures and text haven’t already. 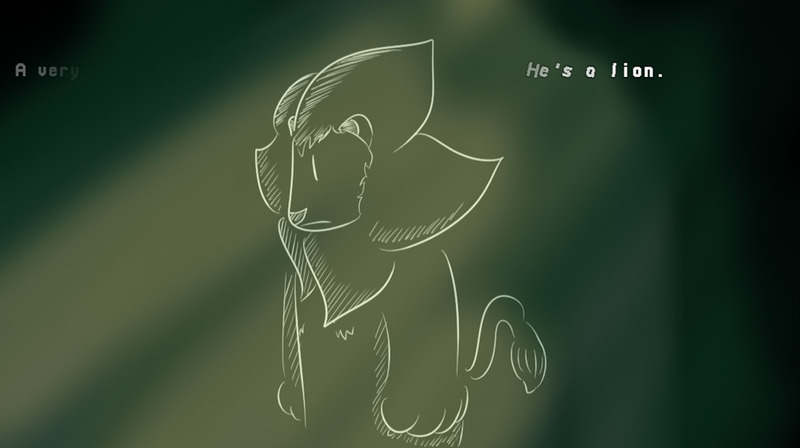 Once you get in to the game proper it plays out very much like a standard RPG although the conversations you have with a lot of people are likely to make you understand why Lenin feels the way he does as they are not very receptive to him and at some points downright mean to Lenin, their distaste for this young lion with a skin condition is very apparent in a lot of the conversations and it’s easy to become very emotionally invested in the protagonist however depending on how the story plays out hopefully it will be a happier ending for our lion friend. 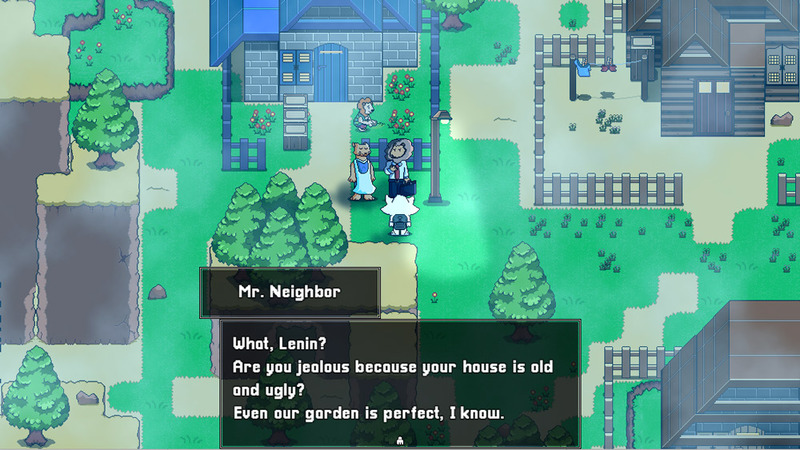 Lenin – The Lion is a very well thought out and thought provoking game which deals with a lot of issues that many of us face every day and there is definitely some comfort to be found here for anyone who is feeling a bit down or alone in knowing you’re not alone in those feelings. 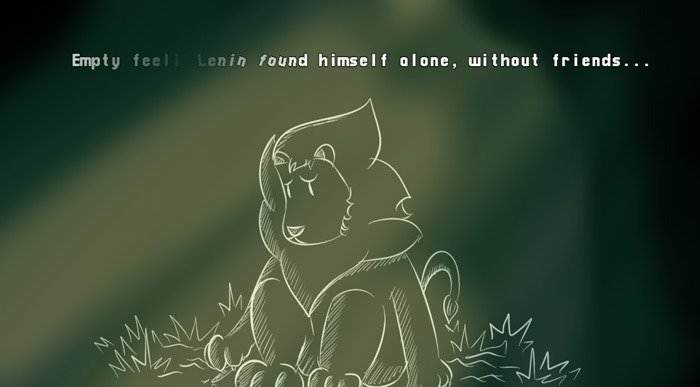 You can download Lenin – The Lion here for free.